Health and Safety Legislation is a requirement of employers, under the Manual Handling Operations Regulations 1992, that Manual Handling techniques training and instruction to be forwarded to all employees who are required to undertake any Manual Handling tasks as part of their normal duties at work. Manual Handling Operations is offered as a half-day in-house course for safer manual handling in the workplace. 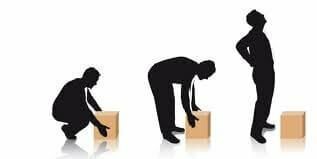 This course focuses on introducing delegates to the risks and hazards associated with manual handling in the workplace, giving them a set of guidelines on safe procedures for lifting, pulling and moving. This course addresses typical hazards and the most common accidents and injuries, outlining good practice with practical demonstrations. In addition, it enables candidates to plan and assess manual handling tasks, developing safer techniques and taking a more active role in promoting health and safety in the workplace. Therefore, this training helps employers comply with the legal requirements outlined in the Manual Handling Regulations, but also promotes awareness and encourages individuals to take greater responsibility for enforcing safe handling procedures in the workplace. Up to 10 Delegates per course. Fire awareness training is required for most employees, depending on the findings of your fire risk assessment. The aim of the fire awareness training is to be engaging, to make people more fire-aware, to realise just how readily and how fast fires develop and why the safeguards are provided. By utilising this approach they will modify their behaviours far more effectively than is seen from simple instruction. To assist with this we have invested in high quality fire simulation equipment which can create fires which behave in ways which mimic Class A, B and C fires, including such events as flare-up when an attendee doesn't completely extinguish a paper fire, or the fast motion experience in a burning liquid fire. To make employees more aware of how fires start, spread and are controlled. To instill a general respect for fire and make them more aware of fire risks in the workplace. Up to 8 per course. Any more can mean prolonged waiting during the live fire element. Suitable for anyone who is undertaking the Fire Marshal role in a simpler workplace such as an office, or a production site which has relatively simple fire risks. Such sites may be physically large, but have low ignition or spreading risks and are typically contain large storage or low risk areas. Suitable for anyone who is undertaking the Fire Marshal role in a very large office or in a production site which has higher fire risks, such as large volumes of chemicals present. 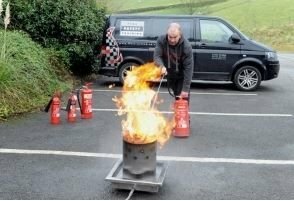 Both fire training courses, delivered on client's own sites, aim to give those holding a Fire Marshal or Fire Warden position an appropriate level of knowledge of fire safety, including how it spreads and how they should respond to it and explains the key risks and basic requirements of the post. Each course covers the same broad syllabus, with the full day going into more detail in each specific areas. Fire Marshal or Fire Warden? It's the same thing - all that's different is the name. The two terms are generally used interchangeably with one employer calling them a Fire Marshal and another calling them a Fire Warden. In a few companies, usually with more complex fire risks, there can be a difference, for example Marshals spring into life during evacuations while Wardens do routine in-house fire inspections, but this is semantic only and the training requirement is the same. Training in-house personnel to the level where they can fulfil the role of Fire Marshal or Fire Warden within the organisation, including responding in emergencies and undertaking routine fire safety procedures. Half day typically, extending to full day for more complex sites. Suitable for all employees. No previous health and safety expertise is neccessary. Course completion certificates on completing the written test. Up to 10 per course. Any more can mean prolonged waiting during the live fire element. Delegates should wear suitable clothing, bearing in mind that the practical aspects of this course will be taught outdoors. Using water and CO2 extinguishers on a fire simulator. An extremely practical course that is environmentally friendly, safe and realistic in use which demonstrates to attendees the heat produced by fire. 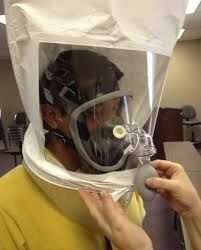 A Qualitative Face Fit Test can help to ensure that employees are able to work effectively in their masks, without taking unnecessary health risks. It also means that employers won’t have to face the prospect of expensive enforcement action being taken by the HSE if their workers masks don’t offer adequate protection. The sensitivity test confirms if the wearer can detect the test agent (either smell or taste). The test agent is sprayed into a test hood so that the wearer’s sensitivity can be established. The fit test requires the wearer to don their face mask and the test hood. The tester sprays the test agent into the hood at intervals whilst the wearer is carrying out a series of exercises designed to simulate movement expected in the workplace (e.g. moving head side to side, up and down, and talking out loud). If the wearer can taste or smell the test agent at any time this indicates a fail – the mask does not fit. Whilst the test can be subjective, the likelihood of a wearer being able to hide their reaction to the very bitter test agent is low. Please contact us for a specific quote for on-site training. Nearly a quarter of all deaths involving vehicles at work occur while the vehicle is reversing. Banksman training will help your organisation to overcome this problem. 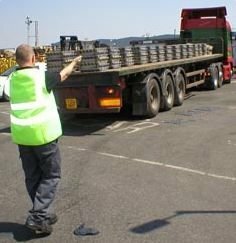 This course aims to raise awareness of the dangers caused when large vehicles reverse, and introduces practical techniques and hand signals to assist drivers with this manoeuvre. Delegates will also be trained in the necessary skills to assist other drivers and banksmen. Operatives who assist in the moving and loading/unloading of vehicles in their occupation. A good sized area of the yard, that is not in use, must be made available to conduct the training to ensure trainer and delegate safety. This must not involve using a public road. A vehicle must be supplied for use during training. We recommend that the type of vehicle supplied is similar to the type the yard is usually in receipt of, but if this is not possible a car can be used as long as the back windows are covered to get a realistic view of bringing a vehicle in safely. Up to 6 Delegates per course.